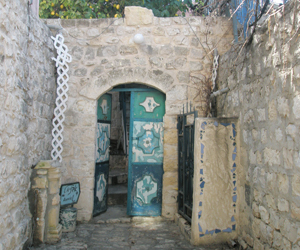 The history of the city of Safed dates back more than 2,000 years. This was a city occupied during the time when the 2nd Temple of Jerusalem stood, and it is a city that has been continuously occupied by various people and communities throughout the centuries. Check out our articles on the history of Safed and find out more about this interesting and historic city. Safed has always been an important city for the Jewish people and is considered the most mystical city in all of Israel. It is also known throughout the world as the city of Kabbalah. Discover why Safed was bestowed this important honor and learn more about the connection between Safed and the Kabbalah and learn more about the many well-known Rabbis of Safed from the centuries past like Rabbi Karo, Rabbi Cordovero, Rabbi Vital, Rabbi Beirav, and Rabbi Luria and hear about the city's historical synagogues. Also get to known one of the most famous Kabbalists, The Ari. Even more important for your preparation for a visit to Safed is to become informed about the Kabbalah, what it is, when it was created, and what religious importance it holds. You have probably heard a lot of hype in the media over the past few years as Kabbalah study has become popular among Hollywood A-listers like Madonna, Demi Moore, and even Britney Spears. However, did you know that the origins of the Kabbalah and Kabbalah study come from Safed? Satisfy your curiosity and start reading now! Safed has known its fair share of wars. At the top of the mountain upon which the city is situated you will notice the ruins of a once mighty fortress, known as the Citadel. This fortress was built by the Crusader presence during their conquest of the holy land. Check out our articles on the Crusaders and learn more about why they were here and about how they were expelled from the land. Also find out about the golden period of Safed under Ottoman Rule, 16th century Safed, ancient Safed in Biblical and Roman times, the riots of 1929, the 1974 Massacre, and Safed in the 1930s. Get the real history of Safed from the Abbos family. During the 1948 War of Independence, Safed was the site of major battle between the small Jewish community of the city and its Arab neighbors. Read stories about the heroic battle for the survival of the Jewish Quarter of Safed and discover how, although outnumbered, the Jews of Safed managed to hold onto their place in the city. Also read about the Rabbi of Safed in 1948, Rabbi Heller and find out how he contributed to the victory of Safed. More recently during the 2nd Lebanon War in 2006, Safed again found itself under attack. Hear the horrifying tales of how rocket after rocket landed on the homes and streets of Safed and hear more devastation of the city during this time. Safed is also a city where you can really get the feel for the many Jewish and Israel holidays that come during the year. Find out how this city celebrates by reading out articles on Safed and Passover, after Passover, Sukkot, Purim, Hanukkah, Rosh Hashana, Sukkot, Shavout and Independence Day. Also check out our navigation list for much, much more!